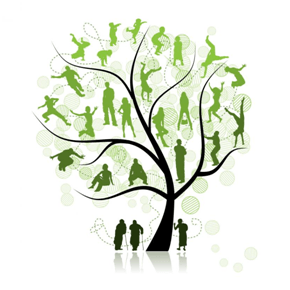 How You Can Benefit From Learning Your Family History. Human beings are the only species on earth who can think about their roots. In fact, we are the only ones who have made any advances in the right direction. From age old philosophical inquiries about the origins of life to relatively recent endeavors to understand our family history, we have always wanted to know more about ourselves and our heritage. Learning about your family history will give you great insight about the social and environmental context in which you were brought up and will bring to light the underlying forces that have helped shaped the person you are today. A venture into the yesteryears of your family will help you understand them better. When a son, who feels distant towards his father for some reason, learns that his father was brought up in an orphanage, he begins to empathize with him and attempts to discern the various aspects of his father’s personality that he did not understand before. In short, greater empathy leads to greater cohesion. Knowing about your ancestors will help you understand the difficulties that they had to face and how they have suffered to give you the life you have today. Your great grandfather may have made sacrifices for your grandfather; or your grandmother may have fought to educate your mother. Learning about your family’s background will help you appreciate the unsung heroes of your family. There was a generation gap in the past, but because of recent technological advancement, there seems to be a greater generation gap than ever witnessed before. Simple-minded grandparents cannot connect with their digital savvy grandkids. Understanding the roots of the family culture and tradition helps in bridging this gap. You become more curious in how your ancestors passed their days and how you can hold on to these traditions to keep your family memories alive. Ever seen a kid’s face listening to a fascinating story? Kids are always curious about their family histories. If you have researched well, you can satisfy their inquisitive minds by sharing stories of the rich past. Not only do they enjoy knowing their ancestors past, they also feel a sense of pride in it. Moreover, when they grow up, they pass these stories to their younger ones and hence the heritage gets stronger and stronger. Heritage Photo Restoration and Genealogy understands the importance of knowing the cultural heritage and family history. Our Professional Genealogist team is here to help, Texas. Get in touch to know more about our family history services.